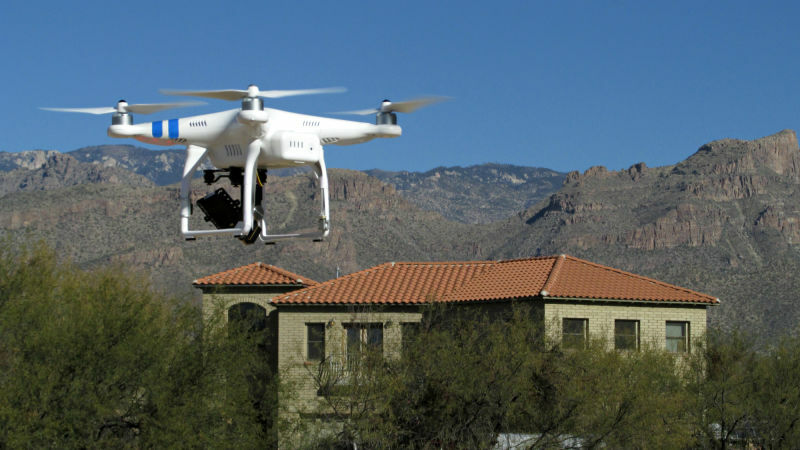 Drones have been making headlines this year, and not in a positive light. They’ve blocked aircraft trying to battle wildfires. Two have dropped down near the White House. Last month in Pasadena, a drone crashed near a stroller, cutting and bruising an eleven-month-old girl. The Federal Aviation Administration is ultimately responsible for managing drone traffic, and is looking at how to develop regulations. But before drones can be used more widely, someone has to build a system that can track them and evaluate their flight plans, with an eye to where they should and shouldn't be going. This job -- preparing for a future of busy skies full of tiny, flying robots -- falls to scientists at NASA's Ames Research Center in Mountain View. Hundreds of thousands of drones are sold each year, and can cost hundreds or even thousands of dollars. And a few rules govern their flight. It’s against federal guidelines to fly drones higher than 400 feet, or within five miles of an airport. And since they can only be controlled by an operator -- they can't yet be programmed and let loose -- you cannot let them out of your sight. The FAA also limits when drones can be used commercially -- that is, for compensation -- so for now, their use remains largely in the purview of hobbyists. But enthusiasts like Carl Weingarten see a future full of potential uses. Weingarten sports a black porkpie hat and shades as he crouchs over a sleek white drone at a small park near a marina in Oakland. The drone emits a series of beeps as it readys for takeoff. This drone weighs less than a sack of groceries, and its four tiny rotors kick up a miniature wash of dust in the dead grass. Once it's up, Weingarten doesn't have long to get his photos; the batteries in his drone last all of about ten minutes, which he says is fairly typical. This is the fourth one he's bought. The third drone did what Weingarten calls a "flyaway." 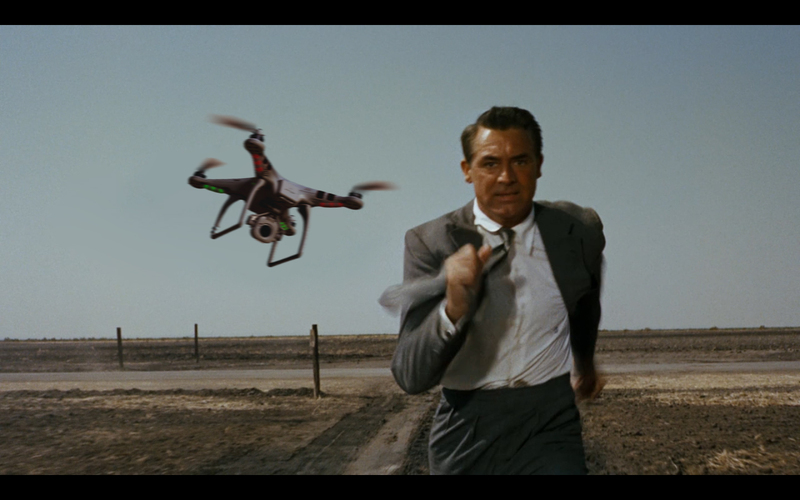 Basically, the drone quit responding to his controls, cruised off and was never seen again. As an emerging technology, these machines clearly have some rough edges to work out. Inspecting antenna towers can be risky, so sending a drone to do it could save workers a dangerous climb. Drones could also come in handy checking on miles of train tracks, or hazards like rockslides. Someday they might even help search rough terrain for lost hikers. And since many packages weigh only a few pounds, retailers like Amazon have publicly daydreamed about using drones to make expedient deliveries. Ultimately it will be up to the FAA to set policy, like under what circumstances drone operators would be required to file a flight plan. Meanwhile, NASA is working on the technology to make such a system possible. This would be used to keep drones away from airports, for example. The other kind of geo-fence would keep drones from getting out. Another key element, Kopardekar says, will be sensors that allow drones to recognize and avoid obstacles like buildings or trees. And if drones are to become autonomous, they’ll also have to be able to respond when conditions change -- if wind picks up suddenly, for instance, or heavy fog rolls in. “You have to have sensors and software that decides what’s the right thing to do at that point," Kopardekar says. "Whether to land there and wait for the weather and airspace to be cleared, or go back." A few buildings over from Kopardekar's office at Ames is a room full of computer monitors depicting the Bay Area with dozens of drones flying overhead, each with its own flight plan. 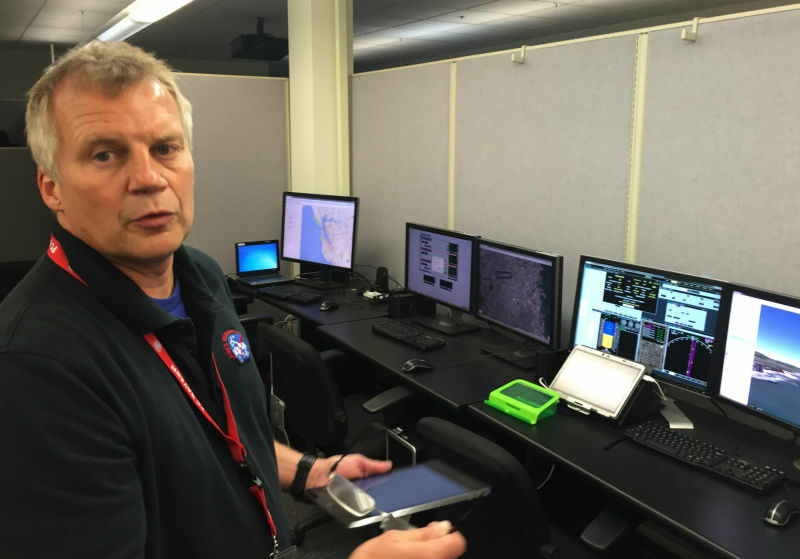 NASA Engineer Tom Prevot explains some are watching the weather, while a few check on infrastructure and others make deliveries. The system is designed to kick back any proposed flight plans that don’t work, Prevot says. 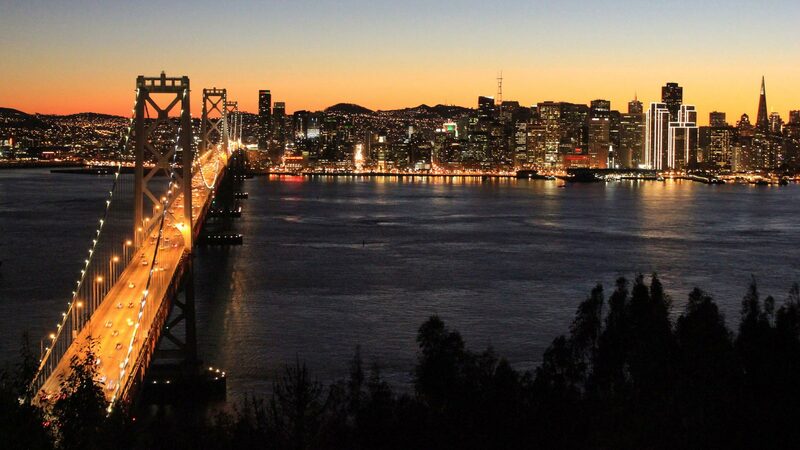 Those would be San Francisco International Airport, as well as Moffett Federal Airfield. One ideal outcome of the traffic management system, Prevot says, is that people who spot a drone nearby should be able to hold up a smartphone and find out what it's doing. “You would see, okay, this is my neighbor getting his pizza, or something like that," Prevot says. “Do we really need drones to deliver pizza?” asks Hannah Beth Jackson, a Democratic state senator from Santa Barbara. Jackson says there needs to be a conversation about priorities, suggesting drones might have more worthwhile applications than airdropping packages. This happens to be one area Chris Anderson sees as a good bet. He’s the CEO of 3D Robotics, housed in a fourth-floor office in Berkeley, where workers are constantly testing drones on the rooftop. Sipping a Red Bull, Anderson says industries like architecture, construction and agriculture are all huge commercial frontiers for drones. “You can imagine a single farm having hundreds of drones," he says, "like sprinklers, just out there on automatic scanning cycles." How long until that future arrives, NASA says, depends on how soon it can be done safely. NASA scientists are building the drone traffic management system in four phases, and have just finished the first. The FAA will start testing it early next year.